Who else has been confronted with that statement by self-proclaimed weight experts? It seems that immediately word gets out that you are trying to lose weight, your whole network will automatically become your personal weight loss guide. To be fair to them, some of their suggestions (eating healthy, exercising, etc) are actually spot on while others (sleeping on your back to make sure your tummy goes in) are ludicrous to say the least. In Nigeria, a lot of the food choices we have and those we make (like eating eba at night) are not really the best options for #fitfam and those who are aiming to join that exclusive group. As a result, Nigerians aiming to lose weight might believe that they literally have to starve themselves to death to achieve their desired body stature, but guess what, there’s good news. 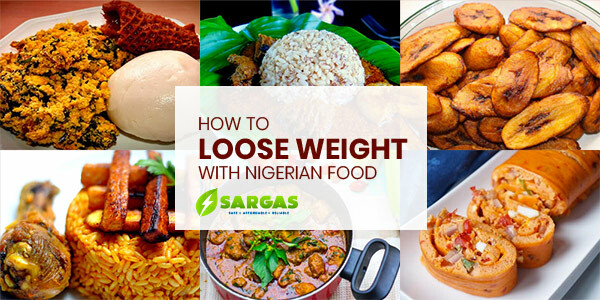 You can still lose weight by eating Nigerian food…how?! By reading the next article in the series! In the next article, you will discover the different foods that will help you combat cravings, reduce water retention and help you continually feel fuller while also boosting your metabolism.